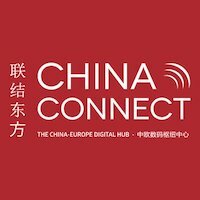 With: Yangke SUN, Yangke SUN, CEO, ECENTIME China Connect 9th edition took place March 12-13 2019, in Paris. Theme: "The Experience Economy"
Yangke is the CEO and Founder @eCentime, Ph.D. in Influence and Diffusion-aware Group recommendation Social Media. He studied mathematics and electronic engineering at university in China, engineering school in France and university in the UK. Before founding ECENTIME, Yangke had a very data-oriented experience as senior Data Scientist and Product owner at Criteo in France and in China, he was also a famous Chinese social blogger inside Weibo with 300 K+ followers. The idea of being a dreamer is to give the right shopping information about European shopping and products for Chinese consumers in order to improve efficiently sales performance. As both data geek and social media expert, Yangke understood the link between lifestyle and brands education, creating intelligent, targeted solutions that optimized users experience and data-oriented performance. Today, ECENTIME is the key platform to let European china market lover walk their first step inside the Chinese community by connecting the overseas Chinese community.